The students in the Ceramics as Social Practice class created a series of handmade bowls and then sold them in front of 621 Gallery on First Friday, November 2nd. 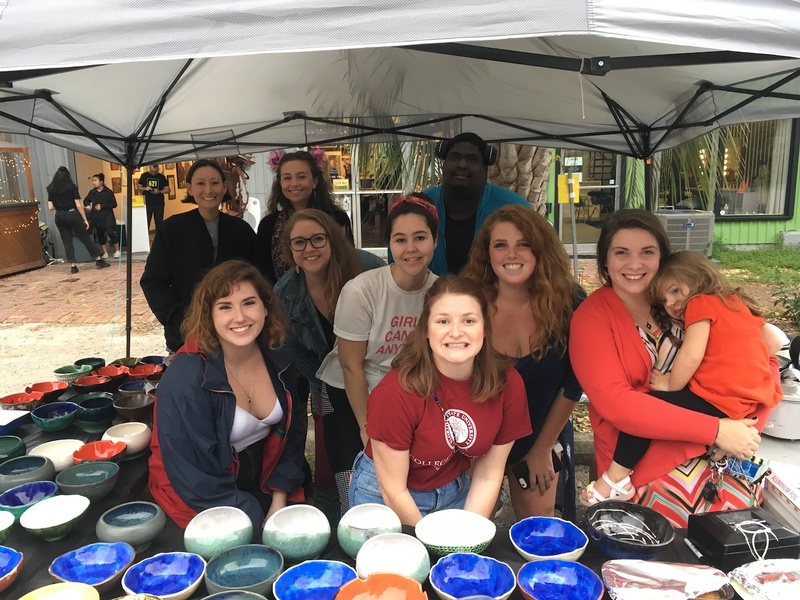 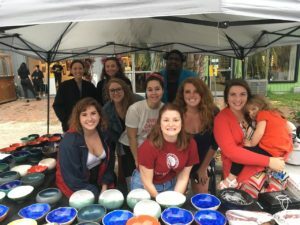 The students participated in a nationally-known, Empty Bowls Project, in which functional bowls are then filled with with soup to benefit those who are in need. 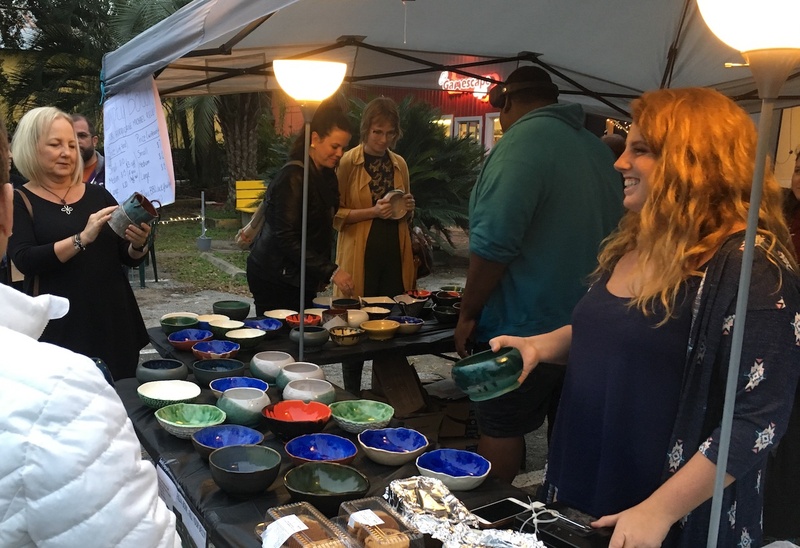 The students decided that they would donate all of the funds raised for a Gadsden County resident who was hit hard by Hurricane Michael.